We are a reactive society, one where action is often not taken until a problem arises. This is true for life in general, but it also applies when it comes to our equipment, whether it be an automobile, an HVAC system, or a medical gas system. A practice called Predictive Maintenance is among the newest approaches to facility management and it’s rapidly gaining momentum within a variety of industries. The predictive maintenance approach is an improvement over traditional preventive maintenance that is proving to be a boon for facility managers nationwide. The primary difference between the two approaches revolves around how currently in-service equipment is maintained. Predictive maintenance requires that the performance of each piece of equipment or system be continuously monitored and analyzed. This is done in order to determine when—and what type of—maintenance should be performed. Correctly implemented, this method allows facility managers to predict failures before they might occur. This leads to improvements in quality, productivity, and profitability. Predictive maintenance programs promise cost savings over and above traditional preventive maintenance programs because maintenance tasks are performed only when necessary. Notification of an impending task may occur, for example, when the performance of a specific part or subsystem degrades below a minimum specification. Thus, the true condition of a facility’s equipment determines when maintenance is performed, usually allowing advance notice so that repairs can be scheduled when they will create the smallest disruption in service – a huge improvement over dealing with a breakdown during peak hours of operation. 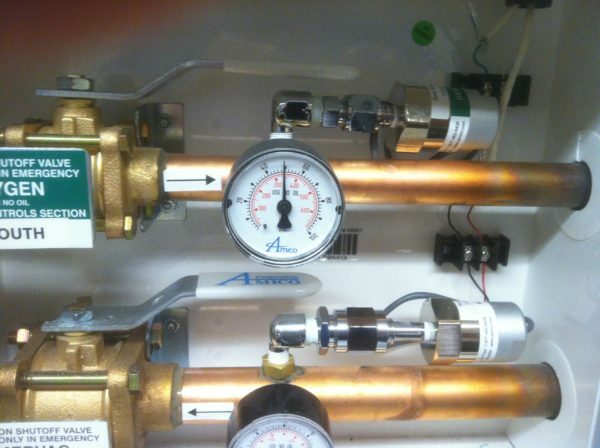 Since predictive maintenance programs are proving to be especially beneficial when utilized on large-scale building systems, implementing predictive maintenance is a no-brainer considering the importance of vital medical gas systems. The American Society of Sanitary Engineering (ASSE) developed the Series 6000 Standard, which has become the industry benchmark for medical gas systems personnel. Their Medical Gas Maintenance Personnel 6040 certification provides municipalities and employers alike with qualified individuals who have successfully demonstrated competencies within the field. Medical Gas Maintenance Personnel are required to be proficient in, and experienced with, the maintenance of medical gas and vacuum systems and must have a general knowledge of any applicable laws, codes, listing agencies, and/or regulations at the federal, state, and local level as they pertain to medical gas and vacuum systems. Medical Gas Maintenance Personnel should also possess knowledge of product performance, systems and system-component testing, documenting and recording, and medical gas terminology. Candidates seeking their Medical Gas Maintenance Personnel 6040 certification will want to ally themselves with an organization that has the knowledge and the reputation to properly administer and certify personnel. NITC is that organization. Therefore, whether you’re a training director, an association representative, an employer representative, or an individual applicant, National Inspection Testing and Certification Corporation (NITC) is there to help advise you along the way. Contact us at (877) 457-6482 to learn more about how NITC helps prepare the most qualified, most reliable, and safest trade professionals possible thanks to our wide selection of industry certifications. Our products can help your business exceed customer expectations, so have your personnel certified with the certification company, NITC, today!